France's presidential election's first round took place this weekend with Nicolas Sarkozy losing narrowly to his Socialist rival François Hollande. He came top with 28.6 percent and Sarkozy got 27.1 percent. Apparently, this is the first time a sitting president has lost in the first round. Third-place Marine Le Pen took the largest share of the vote her far-right National Front party has ever won, with 18 percent. The state of the country's economy is a big issue for the French electorate and the leading figures in the race. 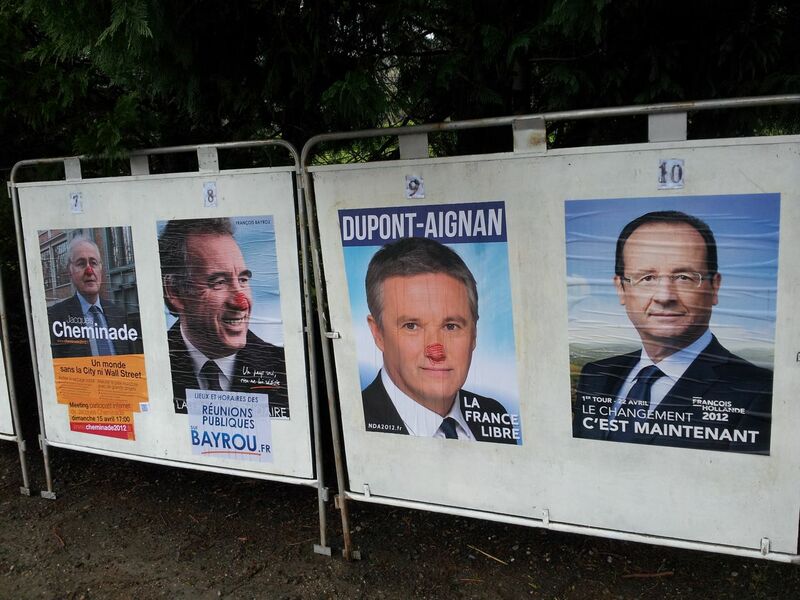 François Hollande is the only one of four candidates to survive a graffiti artist's pen (image, left). Hollande was successfully tipped to reach the run off once Sunday's first round reduces the field to two. 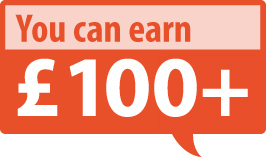 Polls suggest he will then beat Nicolas Sarkozy. 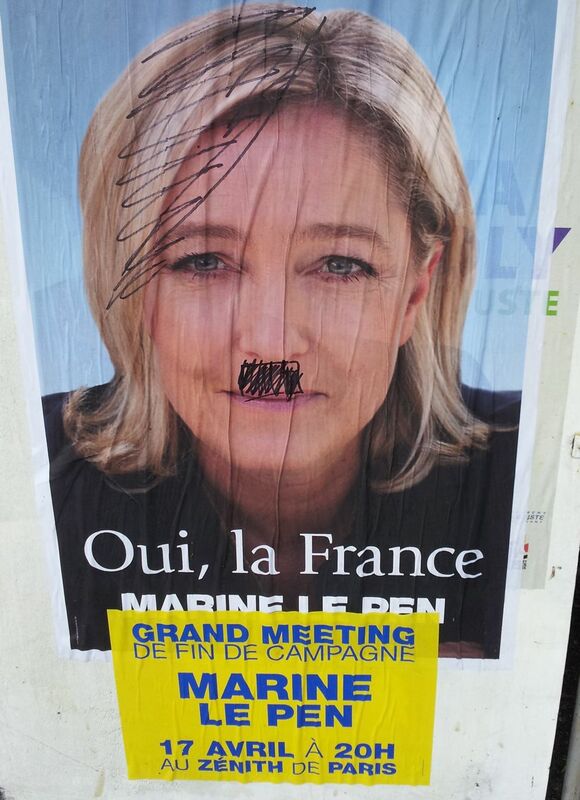 Far right National Front candidate Marine Le Pen, who was defending her notorious father's anti-migrant legacy, has her campaign poster defaced by a graffiti artist (image, right). 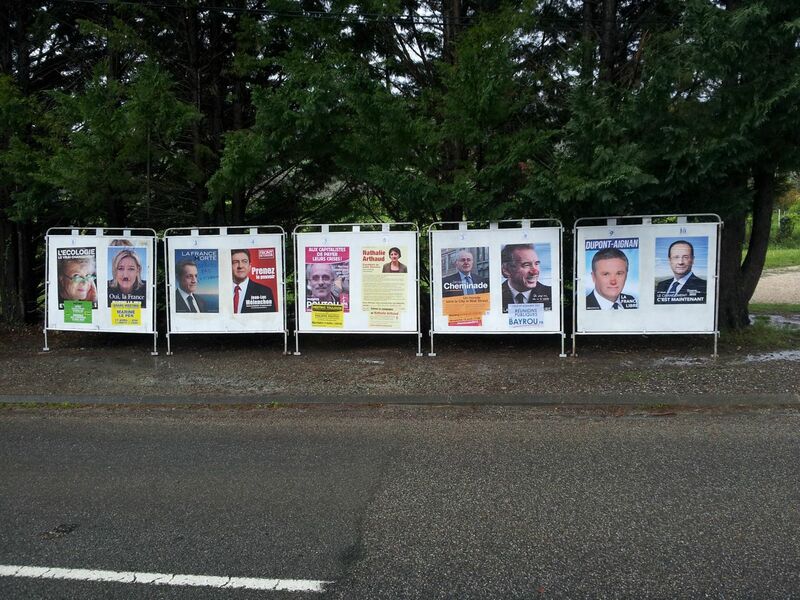 Le Pen is unlikely to get much support in the village. 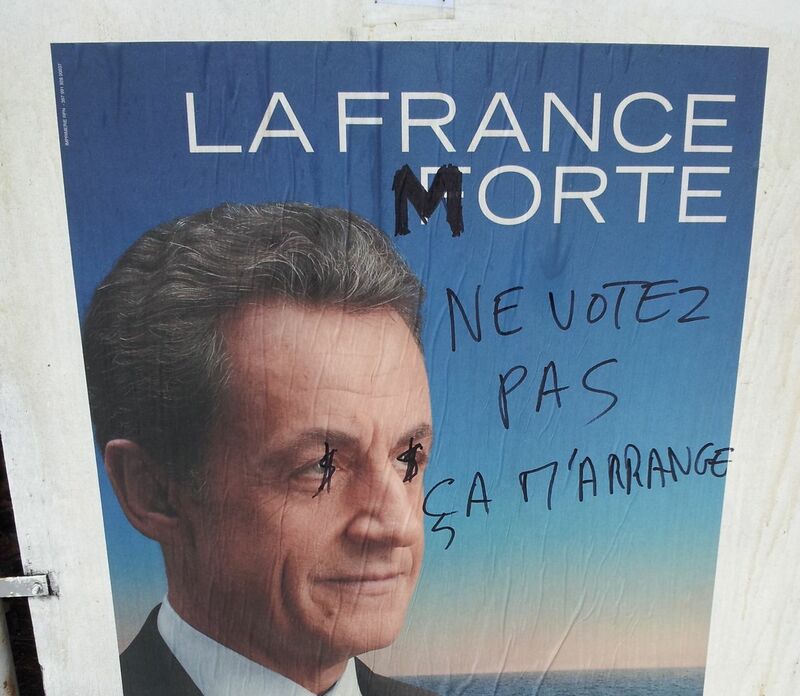 The campaign poster for French President Nicolas Sarkozy gets some additional work from a graffiti artist (image left). His campaign slogan of “La France Forte” is switched to “Morte”, transforming a strong France into a dead one with a single letter. The addition of: “Don’t vote, that suits me fine” completes the picture. Polls suggest he will lose to his Socialist challenger François Hollande in the run off. * See also how London students mobbed a French presidential frontrunner when he visited the capital.